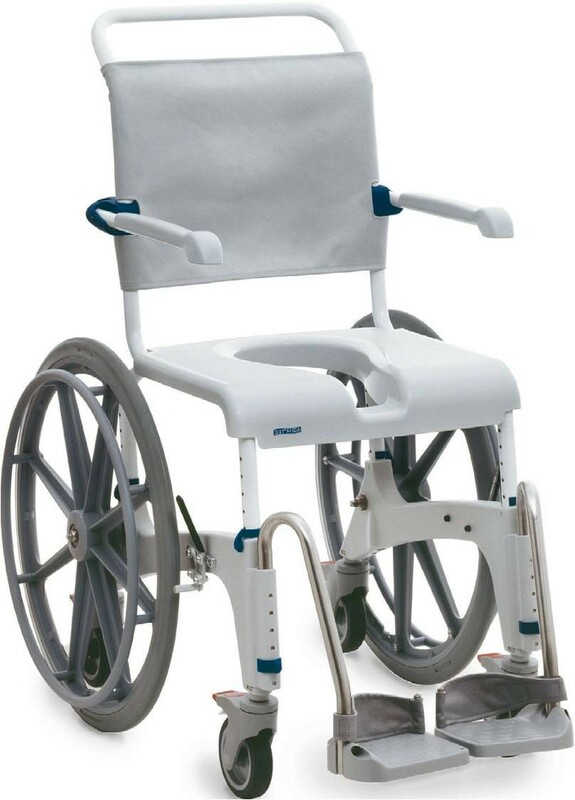 The Aquatec Ocean self-propel shower chair and commode offers three functions in one. It's a self-propel wheelchair, a wheelchair commode, and a shower wheelchair. It is also highly customisable to meet the needs of one particular user or a range of users with a particular disability. You can choose to add features such as chest and hip belts, side supports on either side or both sides etc. The commode pan and holder are included as standard, along with a soft and comfortable seat cover. Aquatec are experts in the field. They really know how to make a wheelchair shower commode work. 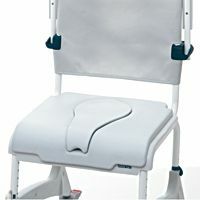 You can also buy with confidence knowing that the Ocean Collapsible Self Propel Shower Chair Commode is made from very high quality components that will stand up to prolonged use in wet areas, even when the water is salty or chlorinated. We were really pleased with this item that we bought for one of our clients who needed a shower chair with lateral supports and a hip belt, this ticked all the boxes and is very sturdy and well made. delivery was quick and the staff are very knowledgeable and helped with my queries before buying . Would definitely recommend. I bought this for use in our small residential home, it is very well made and we are very pleased with the design and how robust this is. Very happy.